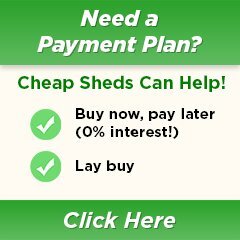 After Cheap Sheds online? Well, you are on the right page! Below you will find all our current sheds on sale. We usually have a few different ones running at the same time but here you can browse through all of them in one place. We change our Shed sales monthly so if you don't see what you want today why not visit us in a few weeks and see what else we have going on. 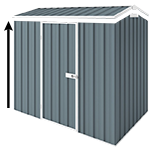 Cheap Sheds is proud to offer Australian Made Steel shed ranges as well as Resin and Timber Strange sheds from the best in the business. All of them you can find a good deal with here on our site and sales!